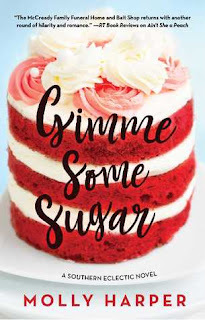 Gimme Some Sugar is book 3 in the Southern Eclectic series. I adore this series and the quirky characters and was excited to see Duffy's story time time around. This one had a bit different of a feel than the others I think mainly because the lead character wasn't one of the McCready women, but we still got to see all the shenanigans that happened so it all worked out well for me. Our leading lady, Lucy Brewer and her son are moving back to her home town Lake Sackett, Georgia after her husband passed away. She wants to be back around family while raising her kiddo and in order to support them she's going to open up a bakery. 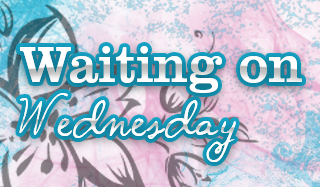 There's some family drama on her husband's side when she gets back but her childhood friend Duffy McCready is there to help with what she needs. Duffy is such a sweetheart in the previous books and I was so glad this was his book. He's had an on and off again fling with his ex-wife and really needed Lucy being back to give himself that push to cut ties with the crazy lady in his past. Gimmie Some Sugar is a sweet romance that also had me majorly craving desserts. I really enjoyed the main characters and all the McCready family members. They get into such entertaining situations and I was glad to see the prior book's lead characters in this one so we could further their stories a bit as well. All in all, if you're looking for a Contemporary Romance you're going to adore check this series out.